We published this article initially a week yesterday, when it looked like Newcastle would sign both Wijnaldum and Mitrovic – but we only signed the Dutch midfielder. 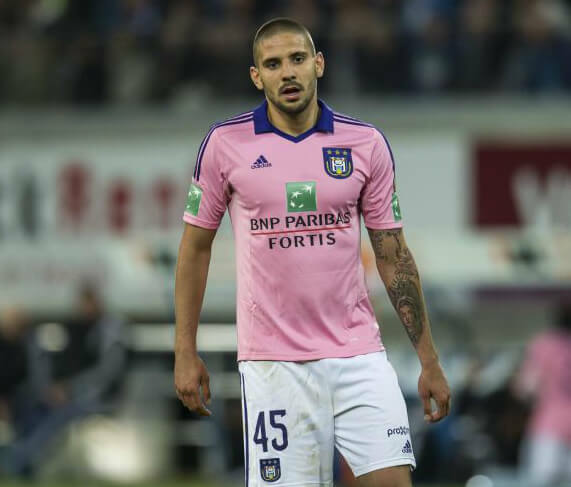 Now Mitrovic is reported by the Belgium press to be on his way to Newcastle and always assuming he passes his medical – he will become a Newcastle player today. We also have a video showing his goals from last season. Looks like may have two more in then, if it happens that’s three very good signings. Does the credit go to McLaren or charnley? Another two out three on top of that with a few players offloaded would be a great window. The way this one has dragged on he’ll probably fail the medical. Aye… due to old age at this rate! We understand the fee for Aleksandar Mitrovi? to be close to £13m, with the Serb now just needing to pass his Newcastle medical. Wrong Ed – I want to know when he’ll be arriving at SJP. I don’t want to get my hopes up…. dont think he is 6ft2, I read some where he was only 5.11. not that it matters much as big Al wasnt that tall. Loving this!! Fat Mike sticking to his word by the looks of it. Strong defensive player next please! yeah 2 but is that being greedy!! And it looks like we might be going after Mbemba too? Does anybody else reckon Ashley is finally starting to figure out how to run a football club? If Mitrovic does come in then I presume a deal for Austin will wait until January and see if QPR get more than £5M. The only thing fantastic about mitrovic is that he is not allergic to aerial balls unlike the other strikers. I wish we could get a striker who scores outside the box occasionally. if we get mbemba and / or other decent cbs then hopefully the days of saylor, along with willo are history. Glad to see we are going for an Eastern European player with something of a reputation already and a Senior International. IMO another striker is less important than two defenders especially now Good has had a recurrence of his injury. Someone like Jonny Evans would be good as he is already a PL player and an other youngish International would be ideal. It looks like Schteve may look to the existing young midfielders to cover the full backs, I hope in order to concentrate the efforts and spending on the transfers we need to be able to challenge in both the League and Cups. Cabella out injured 6-8weeks supposedly torn his quads,surely we need to buy a winger to replace him, considering most of Mitrovic’s goals are from crosses! evans is extremely error prone hence lvg wanting rid. 12:52 PM Start moaning about lack of movement on a CB ..